Jackson was a winner at the annual Mercury Awards held recently in Columbia. 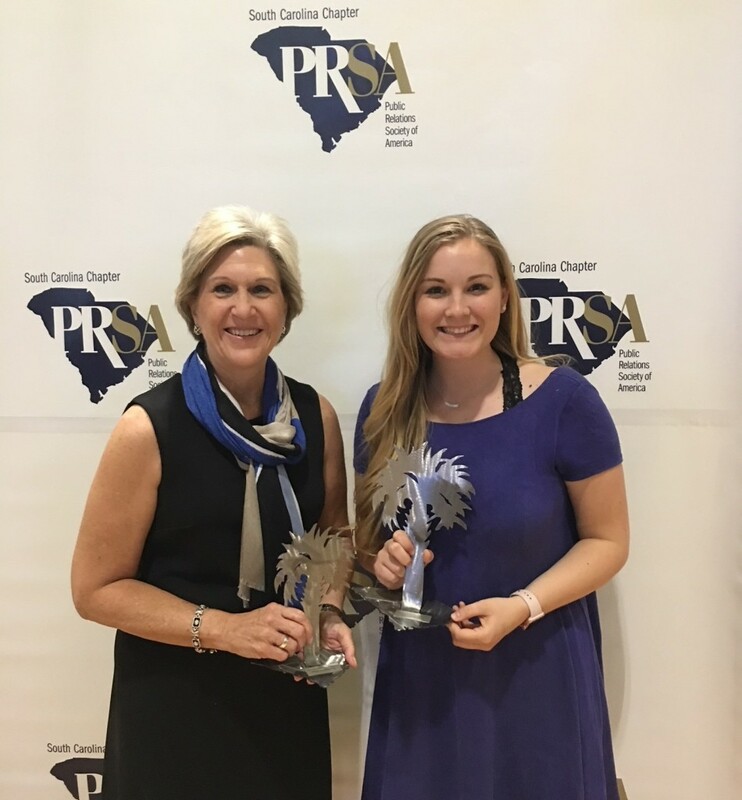 Sponsored by the South Carolina Chapter of the Public Relations Society of America, the awards recognize outstanding public relations campaigns and tactics. Jackson received an Award of Excellence in the Social Media category for the Trijicon® Millionth ACOG® Celebration during which social media was among the tactics used to drive traffic to a sweepstakes website. Social channels drove 60 percent of website traffic, helping exceed the goal of 45,000 individual signups by 144%. Jackson also received an Award of Merit in the Business to Business Marketing category for BEUMER Corporation White Paper Placement. Despite an ever-changing media landscape, business-to-business brands still rely heavily on industry trade publications to reach their target—and often niche—audiences. Well-placed articles remain one of the most credible and cost-effective methods of establishing industry leadership and expertise. Also during the Mercury Awards celebration, former Jackson PR Intern Jamie O’Keeffe was named PR Student of the Year. 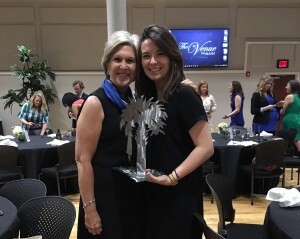 A graduating senior at the University of South Carolina in Columbia, Jamie is director of The Carolina Agency, one of 37 student-run agencies nationally affiliated with the Public Relations Student Society of America. Jamie served as an intern in Jackson’s PR department as a rising junior. Pictured above: Jackson PR team members Kathy Vass and Paige Finney. Pictured at left: Jackson’s Kathy Vass and PR Student of the Year Jamie O’Keeffe.